There's a lot of terminology and lingo that are thrown around regarding mattresses, making it tough to sort through to find a matress that's going to help you wake up feeling refreshed in the morning. There's no "one mattress fits all" solution to sleep as we all have different bodies, sleep differently, and live different lifestyles. So here at Rotmans, we decided to take it back to the basics to help you start your mattress shopping journey. We've put together a number of basic questions you should consider as you start looking for the best nights sleep. Who will be sleeping on the mattress? Who's sleeping in the bed is the first thing you should think about when looking for a new mattress. This will impact everything from what size of mattress is right for you to what sort of firmness is right. Is the bed for your child, for you, or for you and a significant other? 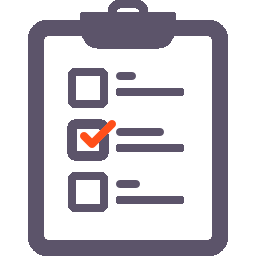 Determining how much you are willing to spend on your new mattress can be a tricky process. While it's not as flashy or as fun of a purchase as buying a new car, your mattress is one of the most important investments you can make. How you sleep impacts everything from your job performance to your mood and energy with friends and family. What size mattress is right for your needs? 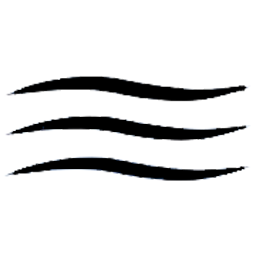 Mattress for a Child - If you're looking for a mattress for a child, you should look for a twin or full mattress. Twin mattresses are narrow and fit well in smaller bedrooms as well as tending to be less expensive than larger mattresses. Full mattresses offer a bit more space, allowing your child to grow into the bed. Mattress for Adults - For many adults, a Queen mattress is going to provide plenty of space to get comfortable. Queen mattresses are the most commonly available and are easier to move than larger mattresses. King mattresses offer extra width for you and your partner to have ample room while California King mattresses offer extra length for taller people. 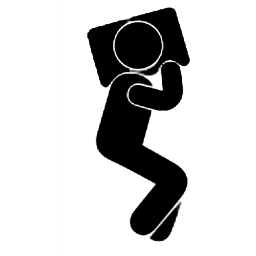 Side Sleeper - If you’re a side sleeper you will likely find your best night's sleep on a more plush mattress that allows your shoulders and hips to sink into the mattress a little bit. This give from the mattress allows your hip to drop down a bit and allows your spine to properly align. 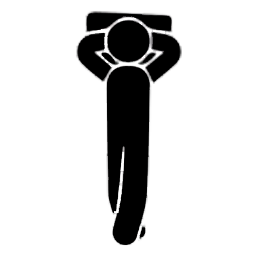 Back Sleeper - If you’re a back sleeper you will likely find your best night’s sleep on a more plush mattress that allows your hips to sink in a little bit and allow your spine to properly align. If a mattress is too firm you will likely feel uncomfortable points of pressure similar to the pain many of us feel after sitting in a car for a long drive. Tossing & Turning - Don't fit into any of the other categories because you spend your nights tossing and turning? Don't worry, there are still plenty of mattresses to help you get your best night's sleep! 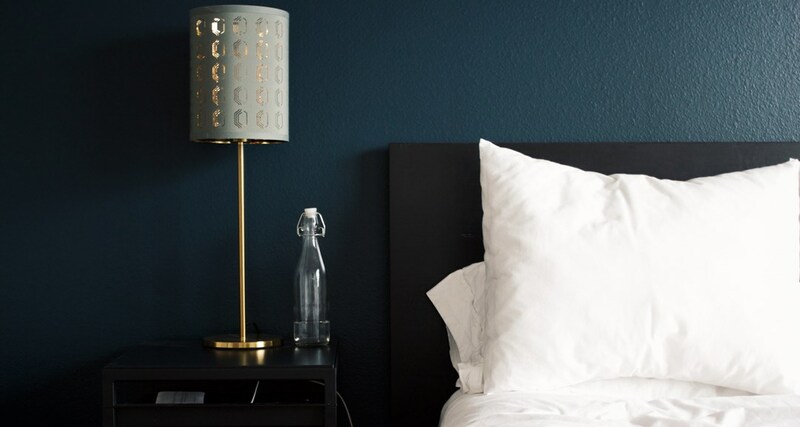 Because you may sleep on your back, side, and stomach all in the same night, you'll likely wake up feeling the most refreshed with a more balanced, medium, mattress that is somewhere between firm and plush. Do you wake up with pain? 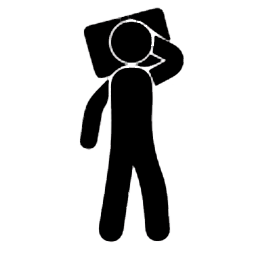 The other key factor to consider with your neck pain is did you select the right type of pillow for how you sleep? Depending on if you’re a side, back, or stomach sleeper the perfect pillow for you will change. Even the most expensive pillow can leave you waking up with pain in your neck if it doesn’t fit your sleep style. To find the perfect pillow for you, come see our experts or start by start shopping online. How firm or plush of a mattress do you sleep best on? If you don't deal with pain when you awake each morning, getting to sleep is likely your top priority. Everyone's body is unique, so your perfect ammount of firmness, softness, or balance between the two is likely to vary, so trying out a mattress for yourself in store is the best route to find a bed that is just right. Do you sleep warm or cool? Warm Sleeper - Do you wake up drenched in sweat or struggle to even fall asleep because you're too warm? Recent technologic advances in sleep technology may be able to provide a solution for you. New technology and materials offer features such as moisture wicking, enhanced ariflow, and decreased heat retention to help you sleep comfortably. Even products that previously were known to sleep warm, such as memory foam mattresses and pillows, have incorporated new technologies and materials to provide you with the best nights sleep. Cool Sleeper - Do you have a tendency to wake up in the morning or even the middle of the night freezing? While heated mattresses are not an option, you may want to consider an adjustable base for your mattress. Adjustable bases can help with circulation to help prevent your extremeties from getting too cold at night. You could also consider purchasing thicker blankets to help retain your body heat better as you sleep. Besides sleeping, how do you use your mattress? For the best nights sleep possible, check out our Sleep Health and Habits Guide. To learn more about Adjustable Bases and their benefits, read our Adjustable Base Buying Guide. Watching TV - If you enjoy catching up on the day's news or unwinding with your favorite show before you go to bed, you should likely consider investing in an adjustable base bed. An adjustable base bed allows you to raise your head to prevent neck strain as you relax with your show. 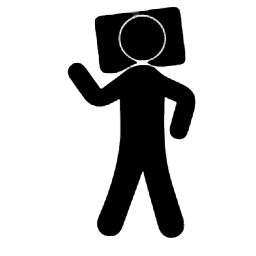 Working - It's never been easier to work from the comfort of your own bed, with laptops, tablets, and even smartphones making it all to easy to check email, put together a quick report, or whatever else your job requires from bed, it's easy to overstrain your neck or back. Adding an adjustable base to your home can not only help to reduce strain but many adjustable bases come with built-in USB ports and/or power outlets to keep yoru devices charged while you power through some quick work. Reading - From news on your phone to a good old paperback book, reading in bed is a good way to relax before hitting the hay for many. Finding that perfect angle that provides both comfort and support as you take in your pre-sleep reading material can be a challenge, no matter how many pillows you have to stack up behind your neck and back. Adjustable bases once again provide a solution to this age old problem, allowing you to find the perfect angle with the touch of a button.